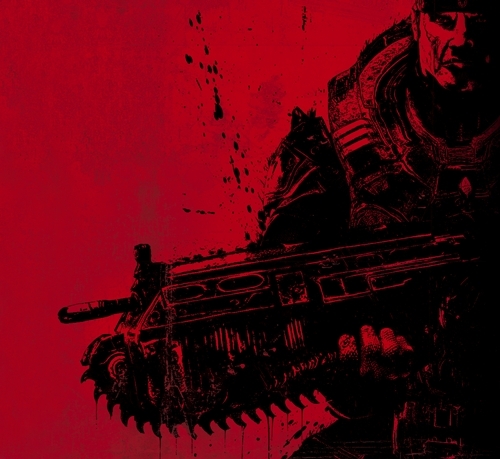 We played the Gears of War board game again last night, and actually survived this time. The first evening of this we played 2 player, and got obliterated repeatedly. I think we played 4 times and never got to the end. With 4 players it seemed much easier, though we ended up between us having less lives in total than a single one of us had to start with. I had no ammo left for anything, and no order cards either, so it wasn’t exactly a walk in the park. I’ve not got a copy, so I can’t do a full description. However, initial impressions are perhaps worth noting. It’s getting a lot of good press right now, and it’s well put together and deals with some of the key features of the video game well enough. The miniatures are very high quality and the components nicely done. The rules themselves seem reasonably clear and roll along fine after a few turns. However, this is a co-op board game rather than a video game, so the frenetic pace of the original gives way to a much more considered and “talky” experience. I might see if I can borrow a copy at some stage to see how it works solo. That would be yet another different type of game. Do I like it? Sort of. Ambivalent and undecided are perhaps the best words to describe how I feel. It is all done competently or better, I was engaged during the game, but somehow it doesn’t quite come up with that magic something for me. Maybe I just need to play it more. I would, however, encourage people to give it a try as cooperative games can be a fun change of pace and pose a different set of challenges from the competitive norm. This entry was posted in Board Gaming, Review. Bookmark the permalink. As you know Jake I’m a confirmed fan of the Game. I hand on heart wasn’t expecting too much from it to be honest with you, I got it because I’m a huge fan of the computer games. However, I was pleasantly surprised to see it all functioned well enough, and with a group of mates it can be a really good way to waste an evening. I’ve found it fun and engaging enough to still be keeping me and my mates entertained. It’s well worth a look if you know somebody who owns a copy. It is at least leaps and bounds better than Doom. That seems wise Jake. I didn’t like Doom at all. I admit I only played it a few times but that was enough for me to know it really wasn’t the game for me!!! Gears is way better. I like gears its game you can enjoy with your mates. All working together, and yes you do have to think about your options and make sure you take the correct one. Its not the mental fast action vid game but still works well. Jake you can borrow my copy if i ever make it to the club again. Oh yeah forgot about gruntz.